By happiness and auspicious, the celebration of birth day of the Promised Mahdi (Aj.) and savior of the humanity world was held for three nights in Imam Hussein (a.s) Mosque. In these holy ceremonies the Ahlul-Bait panegyrists’ recite their poems and Hojatul-Islam Rastgoo had his speech and performed the competition and gifted the winners the gifts and made the ceremonies be exciting and fun. Also there was competition among ladies attended the mosque to answer the questioners questions and after gathering the written answers and preview the correct ones the winners ___selected by draw and six winners gifted. 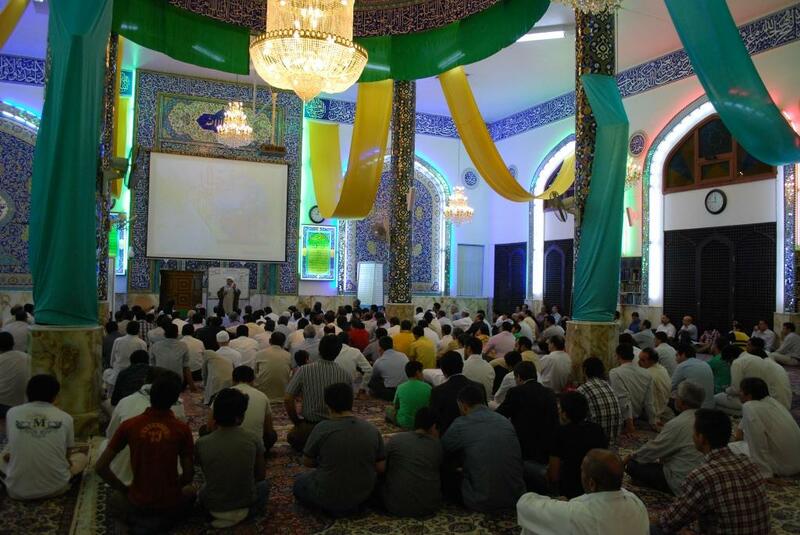 The guests of the Mosque attending in celebration ceremonies were served dinner hosted by Imam Hussein (a.s) mosque.